When a friend is murdered, what changes? I was 60 years old when it happened. Israel, my young friend in Mexico, was only a 26-year-old law student and part-time Volvo salesman. His accidental and unfortunate encounter with the wife of a drug cartel leader in Monterrey cost him an unbearable torture and death. All of us who knew him were a mess. His roommate, scared that he would be next by association, fled town and told no one, even me, where he was relocating. It was during the beginning of the drug wars in Monterrey. But enough about all that. I want to tell Israel that his life had meaning, and that he brought happiness into the world. I want to tell him that lives changed for the good. There are people who will remember him always, will love him and thank him for his life. In my younger days, I wrote and never could complete a novel. But Israel’s short life put me on fire. In the last five years I have published two novels that were inspired by Israel, his roommate, and other ordinary people in Monterrey who were forced to muster uncommon courage in the face of barbaric and inhumane acts. I was witness to a civil war, really. I saw the beginnings of organized movements in Mexico against corruption and violence. I wanted people in the United States to know that people just like them not far away were living lives of hell, but they were doing it while still loving and preserving their families and friendships. The Mexicans are affectionate, creative, imaginative, and very funny people who have the perfect language for describing life around them. 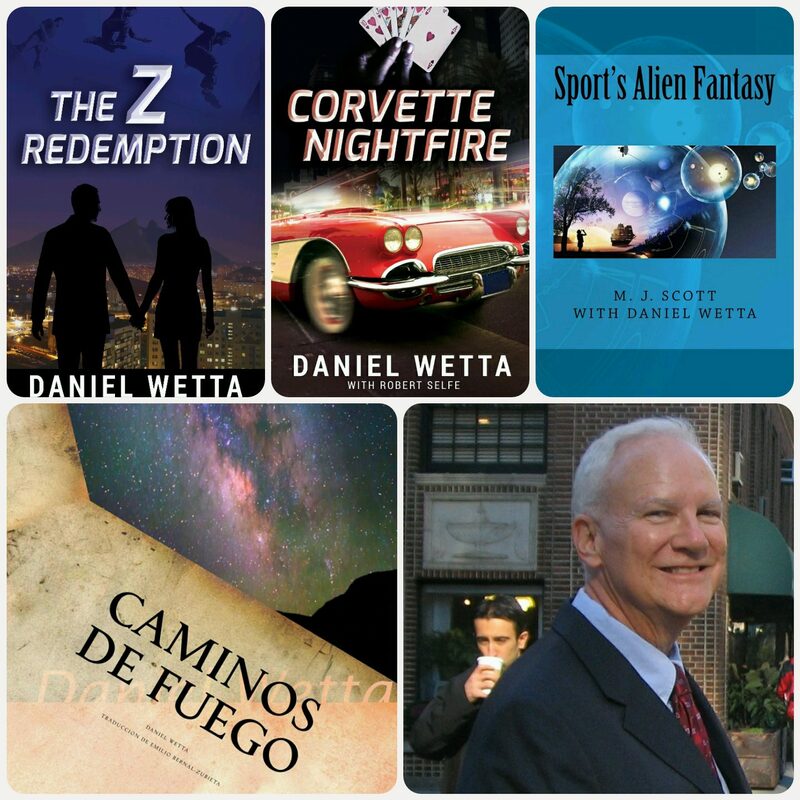 So my first two novels, The Z Redemption and Corvette Nightfire, (assisted by my life-long friend and talented educator, Robert Selfe), tell the stories of Israel and his roommate, Enrique, as well as a host of other characters. They are people filled with hopes, dreams, energy, cunning and bravery. In real life, Israel was like this. Israel worked hard but partied with absolute joy of life. He would have been a leader on the national scene, I am certain. No one heard Israel’s cries of pain except for his brutal tormentors. He knew that no one would come to save him. I wrote my novels so that people in two countries would hear his screams. In The Z Redemption, Israel is a mentor to his best friend, Enrique, the roommate in Monterrey. In real life, Enrique is the one who got to live. So in the two novels (the third is in the works), Enrique lives on with Israel in his heart, still guided by his life-long friend. Enrique becomes one of my favorite heroes of both novels. He matures, fights for a lady (and loses) in Corvette Nightfire, but in the end, he is the one who largely saves the day. Israel would be immensely proud of him. I can’t speak for all the people who were moved in some way by Israel’s life and murder. I will say what happened to me. Thanks to Israel, I have published the two novels of the trilogy of international suspense, romance, passion and heroism. With Robert Selfe, I am writing the third. I studied and learned to speak Spanish fluently. I have made many friends in Monterrey who are special in my heart. I research the Mexican portions of the novels with original Spanish sources. Obsessed that details be accurate, I have made several return trips to Monterrey and have gone so far as to time and act out action sequences in the geography of that city. I have learned a lot of Mexican history and much about their political parties and government. Then there is the work that developed with my father. At 87 years old, he is still painting and expressing himself through art and technology. He has a long lifetime of works in a collection that is largely intact. Every painting has a story, and his cartoons speak for themselves. We decided that it would be good to publish his works and stories in books. Over the past couple years, I have published seven e-book volumes of his works in a series called, El Artista: A Lifetime of Curiosity. We are final-proofing the first printed volume of his art. Its title is An Artist’s Life, New Orleans Framed. It should be available in book stores by the beginning of March, 2015. In a prior blog, I detailed my on-again, off-again battles with depression and the tools I use to defeat what would rob me of joy in life. I will admit that I was numb after Israel’s death. I returned to be with my family in Virginia a few months later. There were personal and financial problems to confront. It would have been easy to give in to inertia and the emotional paralysis of a disease that is so prevalent in our modern, hyperactive society. But…I think that Israel claimed ownership of a piece of my life by his death. I suspect that he did this with a good number of people. When I look through his eyes, I am looking through the eyes of a young man who will remain 26 years old through eternity. He wanted a career, love, a wife, children, fun, parties, loyal friends and justice. That is why he wanted to be a lawyer. He wanted to help his country. He saw bright skies, sunrises from the border of heaven, and the majestic mountains of Monterrey. He had the juice of a young man excited by life. Yes, Israel, you infected me. You caused me to look at the world around me with young eyes. I am not afraid of dying, my young friend. I just want more years to get things done. I want to love fully. When I look at midnight, I want to see justice. I did hear you, Israel. You would be surprised how many have heard you. Muchas gracias, mi buen amigo. Tal vez en el futuro, nos platicamos otra vez. Siempre empezamos otra vez.